This year's big iPhone update, iOS 12, aims to solve many of the issues that arose during iOS 11's controversial, buggy tenure. With that in mind, it may be tempting to jump on board the new software immediately and leave iOS 11 in the dust for good. Here are some reasons why you might want to reconsider joining the iOS 12 beta. Should you switch to the iOS 12 beta, which is available for developers and public beta testers, you might run into more issues than iOS 11 has as a whole — bugs, glitches, compatibility issues, and other drawbacks. That's because we're still in the very beginning stages of the beta program, so iOS 12 has a lot of work to do in order to live up to Apple's hopes of a smooth-running mobile OS like back in the days. Now, these qualms aren't to say that iOS 12 is necessarily bad or that it won't surpass iOS 11 as the superior operating system. However, updating your iPhone can be a big change and can be a hassle to undo unless you've taken the proper precautions. So before you decide to bite the bullet and update your iPhone, make sure to check out all the problems below first. Note: The latest versions out include the developer beta 12 and public beta 10. The iOS community held a collective celebration when it was announced that iOS 12 would bring notification grouping back to iPhones and iPads. When it works, the new system really cleans up the notification center, allowing you to focus on messages and alerts on an app-by-app basis. If Siri shortcuts interested you and you're not a developer with access, consider checking out Workflow in the meantime, which is basically the same thing minus Siri compatibility. App developers design their apps to work with the system your iPhone is running. With a new, major update, those apps need to be optimized to run on the new software, otherwise, performance will be less than ideal, to say the least. According to Apple's release notes, children will be able to sign out of iCloud or change the system time to get around Screen Time restrictions. The company doesn't go into specifics, but does suggest you change your Screen Time password upon updating to dev beta 7–11 and public beta 6–9 (42879250). When using INUIAddVoiceShortcutButton, the "Add to Siri" and "Added to Siri" button text isn't localized. (43251696: Affects dev beta 10–11 and public beta 8–9) — Workaround: To localize "Add to Siri" and "Added to Siri" button text, include localizations for this text in the strings files of your app bundle. Apple has fixed a lot of issues that were contained in the first three dev beta (and first two public beta) releases, and they will continue to squash these bugs and other problems up until the public release in September. Some of the issues listed above will move on down to this section, some already have. In a perfect world, the only thing left in this article would be this resolved section, but we'd be happy if it were half and half. Fortnite used to crash when starting up a new game for some users. Not anymore — dev beta 4 and public beta 3 fixed this issue for gamers. According to Apple's iOS 12 release notes for dev beta 1, "the 'Maps Nearby' widget buttons don't launch the Maps app." This was fixed in dev beta 2 and in the public beta. iWork documents in Pages, Keynote, and Numbers did not mix well with iOS 12 dev beta 1. Apple told developers that sharing these documents via AirDrop or the Files app could cause the device to become unresponsive. The "workaround" was rebooting the device. This was fixed in dev beta 2 and in the public beta. In dev beta 1, if you wanted your time zones to be accurate when traveling, you had to set the time zone manually via Settings –> General –> Date & Time, with "Set Automatically" disabled. This was fixed in dev beta 2 and in the public beta. If you had an iPhone 6S or 6S Plus, dev beta 1 likely made your vibration alerts very loud. This was fixed in dev beta 2 and in the public beta. Newly-made calendar events would be unavailable to VoiceOver, according to Apple's dev beta 1 notes. That's certainly a consideration if you rely on VoiceOver in the Calendar app. This was fixed in dev beta 2 and in the public beta. If you have a Mac with a Touch Bar, and thus a Mac with Touch ID, this problem didn't apply to you. However, all other Mac users had an issue in dev beta 1 that when an Apple Pay payment sheet appeared in Safari on a Mac without Touch ID, they wouldn't be able to confirm the payment if their iPhone or Apple Watch display was off. This was fixed in dev beta 2 and in the public beta. Apple made it clear in the dev beta 1 release notes that iOS 12's alarms did not work with CarPlay. This was fixed in dev beta 2 and in the public beta. In some apps, you might have experienced overlapping keyboard suggestions. Whether you used these suggestions or not, this bug made your keyboard cluttered and ugly. This was fixed in dev beta 2 and in the public beta. Apple warned users that Personal Hotspot could be unavailable while running iOS 12 beta 1. That was bad news for anyone (like me) who regularly relies on their personal hotspot for internet access on other devices. This was fixed in dev beta 2 and in the public beta. Calls on other devices using your carrier account feature was not available with the iOS 12 dev beta 1. Handoff calls, however, still worked, even with devices that were not running the beta. This was fixed in dev beta 2 and in the public beta. Apple claims users might not have been able to configure call forwarding while running the iOS 12 dev beta 1. This was fixed in dev beta 2 and in the public beta. If you were going to try group FaceTime in dev beta 1, there could have been invisible text overlays. This was fixed in dev beta 2 and in the public beta. Apple boasts you can have up to 32 people join a group FaceTime call at once. However, in the iOS 12 dev beta 1, adding new participants didn't always work. This was fixed in dev beta 2 and in the public beta. Wi-Fi Calling might have been disabled after updating to iOS 12 dev beta 1. This was fixed in dev beta 2 and in the public beta. This issue only applied to the 10.5-inch iPad Pro, second-generation 12.9-inch iPad Pro, and sixth-generation iPad. However, if you're using an iPhone on the receiving end, you wouldn't see any video from these users in FaceTime calls. This was fixed in dev beta 2 and in the public beta. If you don't use English as your iPhone's set language, search results might have been unavailable to you in Photos in dev beta 1. This was fixed in dev beta 2 and in the public beta. If you viewed a PDF in Safari in dev beta 1, then rotated your device, it could have prevented the PDF from scrolling or maximizing itself in the layout. This was fixed in dev beta 2 and in the public beta. iOS 12 dev beta 1 wouldn't let you forget apps you tried to delete. Those apps' logs remained in Screen Time, so you'd see your usage data even days after deleting the app. This was fixed in dev beta 2 and in the public beta. In the dev beta 1, your Screen Time settings would not change on your iPad just because you changed them on your iPhone. Usage data still would sync, though. This was fixed in dev beta 2 and in the public beta. Usage breakdown by app was unavailable for Screen Time in iOS 12 dev beta 1. This was fixed in dev beta 2 and in the public beta. Your weekly reports are supposed to come once a week, but iOS 12 dev beta 1 felt the need to send you multiple notifications when it did happen. This was fixed in dev beta 2 and in the public beta. Screen Time gives you the option to block certain apps and websites from use, for both you and your child. Unfortunately, a bug in iOS 12 dev beta 1 kept apps and websites blocked even after disabling Screen Time as a whole. This was fixed in dev beta 2 and in the public beta. Apple warned in dev beta 1 that your child's iCloud account might not have reported usage data back to your device, defeating the entire purpose of Screen Time for parents. This was fixed in dev beta 2 and in the public beta. Apple alerts users that in iOS 12 dev beta 1, Siri might have given "unexpected responses" to "Where is my ... ?" questions. Again, "might" did not mean the issue would happen every time. This was fixed in dev beta 2 and in the public beta. Some EA games might have quit unexpectedly on devices running iOS 12 dev beta 1. Apple named "Real Racing 3" and "Sims Free Play" as two examples, so the problem might not have been too widespread. This was fixed in dev beta 2 and in the public beta. The iOS 12 release notes for dev beta 1 claimed that "Some users might be unable to log in to or view account information in the Bank of America app." This was fixed in dev beta 2 and in the public beta. Citibank customers would have wanted to avoid dev beta 1 since the Citi Mobile app would crash right when launching it. This was fixed in dev beta 2 and in the public beta. If you depend on the Weather widget in your Today view or from a 3D Touch press on the app's icon, you may have noticed it wasn't working in dev beta 2 and public beta 1. Luckily, this issue was fixed quickly by dev beta 3 and public beta 2. While the Shortcuts app is not present for everyone, you can still create custom shortcuts via the Siri settings. However, when recording a custom Shortcuts phrase, you might not have been able to tap "Done" to save it until the issue was fixed in dev beta 3 and public beta 2. While English users wouldn't have had any issues here, if you changed Siri's default language to either Chinese, Japanese, or Korean, you wouldn't have been able to set up "Hey Siri" on the device. Apple suggested setting up "Hey Siri" before updating to dev beta 2 or the public beta since those versions were where the issue appears. They also suggested using a different device signed into the same iCloud account. This issue was fixed in dev beta 3 and public beta 2. Siri shortcuts are an exciting new iOS 12 feature. However, they might not have worked for PDF images. Apple's "workaround" was to use another image format, but now the issue has been fixed, in both dev beta 4 and public beta 3. Apple claimed Skype might unexpectedly quit on iOS 12 beta after logging in. Since dev beta 3 and public beta 2, this is no longer an issue. Checking out your route after a walk or jog is a fulfilling way to track your fitness. Unfortunately, your map might not have presented itself in iOS 12's Activity app. This issue is fixed as of dev beta 4 and public beta 3. When in a Group FaceTime call with other users, the current speaker's tile is supposed to enlarge, to visually emphasize who it talking. While this worked in most cases, Apple stated that the automatic enlargement of this tile might not have worked when using external headphones. The company patched this issue in dev beta 3 and public beta 2. If you make a lot of FaceTime video calls, you might have been interrupted by a "poor connection" message. You won't notice it anymore, however, as Apple fixed the issue with dev beta 3 and public beta 2. When you tried to make a call via the FaceTime app directly, the app may have crashed on you right away. This problem was patched in dev beta 3 and public beta 2. Apple cautioned voicemail notifications might be inconsistent and might not appear when your iPhone is locked. This voicemail bug was fixed in dev beta 3 and public beta 2. If you tried to enable a SIM PIN on your iPhone, the device would lose cellular service. As of dev beta 3 and public beta 2, this bug is no longer an issue. If you're a parent or guardian, whenever a child's device would request more screen time for a particular app, even if you had entered the passcode on the child's device to approve more time, you'd still get a notification prompt on your own iPhone. This could be fairly annoying. Fixed in dev beta 3 and public beta 2. While Screen Time lets you view your child's iPhone activity, iOS 12 beta used to ship with a bug that would stop you from viewing their website usage. This issue was fixed in dev beta 4 and public beta 3. That might sound a bit confusing — Downtime is a new feature that "Do Not Disturbs" your entire iPhone for you. You get to pick and choose which apps you're allowed to use during Downtime, called "Always Allowed," with iOS offering a suite of default apps at the start. These defaults used to not be allowed in the iOS 12 beta until you had tapped Settings –> Screen Time –> Always Allowed to refresh the list of apps, but since dev beta 4 and public beta 3 removed this bug, this issue no longer exists. When setting a passcode for Screen Time, Apple implored you to only use numbers. Otherwise, it might have been impossible the enter the passcode when trying to access the feature. This is no longer the case, as of dev beta 4 and public beta 3. When sending a text to a friend with Siri, it can be convenient to tap the message UI presented on-screen to jump into the conversation in Messages. That might not work in the iOS 12 beta, at least in any version before dev beta 3 and public beta 2. If you've updated to at least one of those versions, however, you'll be just fine. For all the hullabaloo about Voice Memos coming to Mac, the iOS 12 beta didn't want to cooperate with your MacBook or iMac. As of dev beta 4 and public beta 3, however, they're working as they should. Starting in iOS 12 dev beta 2 and the public beta, action buttons that appeared in interactive notifications might have become illegible when Increase Contrast settings were enabled. Fixed as of dev beta 3 and public beta 2. If you used your AirPods religiously, you might have only been able to pause audio playback by removing both AirPods from your ears, not just one. Don't worry about it now, since Apple fixed this issue with dev beta 3 and public beta 2. If you used any CallKit extensions on your iPhone, such as Hiya Caller ID and Block, you might have had to quit and relaunch the Phone, Messages, or Settings app to get them working again. This issue was fixed in dev beta 3 and public beta 2. If you used a CallKit extension on your iPhone to show potential spam callers and texters, the SMS and Phone Call spam classification extensions wouldn't load and would display a black screen. This issue is no longer a problem as of dev beta 3 and pubic beta 2. CarPlay might not have connected to certain vehicles, so if you installed the beta, you ran the risk of not being able to use your iPhone with CarPlay in your car or truck. This issue was patched in dev beta 3 and public beta 2. Whenever you tried to add a person to an iWork document (Pages, Numbers, Keynote), the navigation button that appears in the Share Options sheet was missing. Fixed in dev beta 3 and public beta 2. When using a third-party application, whenever you connected a pair of headphones to your iPhone, the Media Player UI may not have shown you the artwork for the song or video. This issue was fixed in dev beta 3 and public beta 2. If you downloaded Netflix videos for offline viewing in dev beta 2 and public beta 1, Netflix would quit unexpectedly. This issue has been fixed in dev beta 4 and public beta 3. Unfortunately, this bug would wipe out those customized days once you modify time for an app or category. Apple has dropped this bug from its release notes as of dev beta 3 and public beta 2, so, more than likely, the issue doesn't exist anymore. If you had enabled Siri Shortcuts either from the Shortcuts app or from ones suggested by Siri, they may not have been accessible if you needed to restore your device to a backup, meaning you'd have to start all over again. This issue was patched in dev beta 5 and public beta 4. In dev beta 4 and public beta 3, you might have encountered an error message while downloading an app from the App Store. If this happened to you, Apple said to simply try downloading the app again, so it didn't appear to be a life-changing issue. Nevertheless, this issue was fixed with dev beta 5 and public beta 4. Your devices' Screen Time data might not have synced properly between all of your devices. Apple suggested restarting the affected devices as a workaround, but now the issue is resolved as of dev beta 5 and public beta 4. After restarting your iPhone, paired Bluetooth accessories might not have functioned correctly or might have been displayed using the device's address rather than its name. Apple claimed the workaround for this issue was to go to the Bluetooth settings, select Forget This Device and pair the accessory to your device again. Fixed in dev beta 6 and public beta 5. Asking Siri to use to Apple Pay Cash to send or request money might have produced an error. Apple's workaround? Include a dollar amount in the Siri request. This was fixed in dev beta 6 and public beta 5. Siri couldn't open an app by name while using CarPlay, nor could Siri use Shortcuts which involved opening an app. Fixed in dev beta 6 and public beta 5. 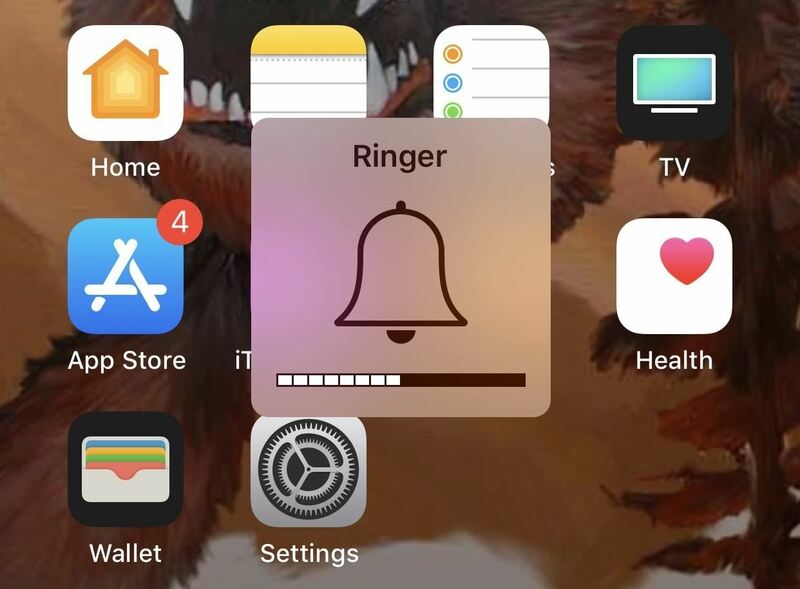 Your Settings app might have unexpectedly quit when attempting to view or select a voice in Speech settings. Fixed in dev beta 7 and public beta 6. 3rd generation Apple TVs might not have worked as a HomeKit hub, while the 4th generation Apple TV and Apple TV 4K might not have shown up as a HomeKit hub unless the setup was completed using an iOS device. Apple's workaround: add Apple TV to the home via Settings > AirPlay > Room. This issue was fixed in dev beta 7 and public beta 6. If you uninstalled FaceTime, Mail, Maps, or Voice Overs on your iPhone, you should've been prepared for Settings to quit when attempting to open Siri & Search settings. Bug fixed in dev beta 7 and public beta 6. Dev beta 7 and public beta 6 introduced a bug that could cause Apple Pay not to be available. Fortunately, that issue was fixed in dev beta 10 and public beta 8. This issue was fixed in dev beta 11 and public beta 9. Look, hopping on any beta is a gamble, and iOS 12 is no exception. While this initial release is littered with bugs, it has plenty of upsides as well. You might think the new features are the main attraction here, but many simply praise Apple for iOS 12's speediness, especially on older hardware. If you're prepared to face a few bugs, you might end up liking your beta experience this go around.